I could eat Kumara (that sweet potato for all you non New Zealanders) for every dinner. They provide great energy with virtually zero fat, and have loads of Vit C and E. The Center for Science in the Public Interest (CSPI), Washington DC, announced that the sweet potato ranked as the #1 vegetable in nutrition out of 18 vegetables they studied and rated. Pumpkins are in season so its a great time to cook with them, they are also high in iron and B vitamins. 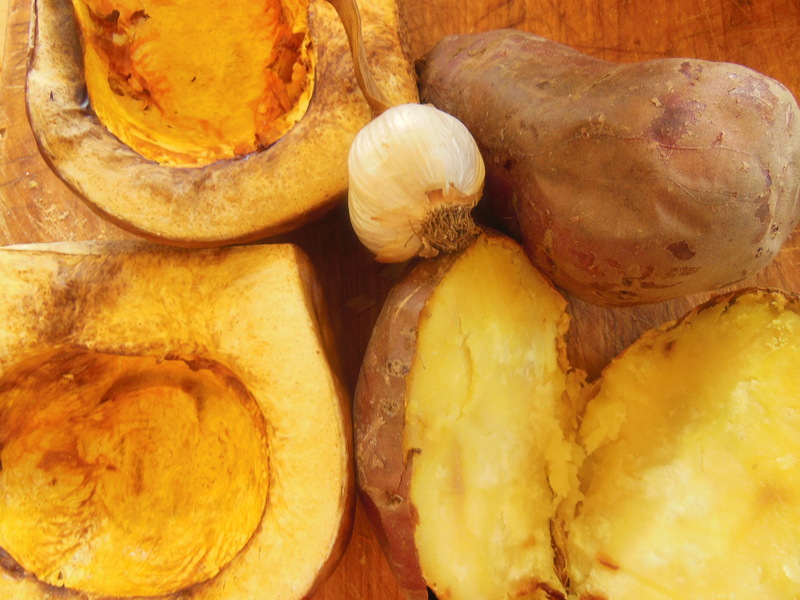 Both pumpkin and kumara are nutritionally dense, filling and low GI. This makes a large batch so you can freeze it ready to pop into your lunch box or for a quick snack-pre dinner. Preheat oven to 180C (345F) , cut the pumpkin in half and place in oven with whole kumara and garlic, bake for 45 mins to 1 hour removing the garlic after 25 mins. 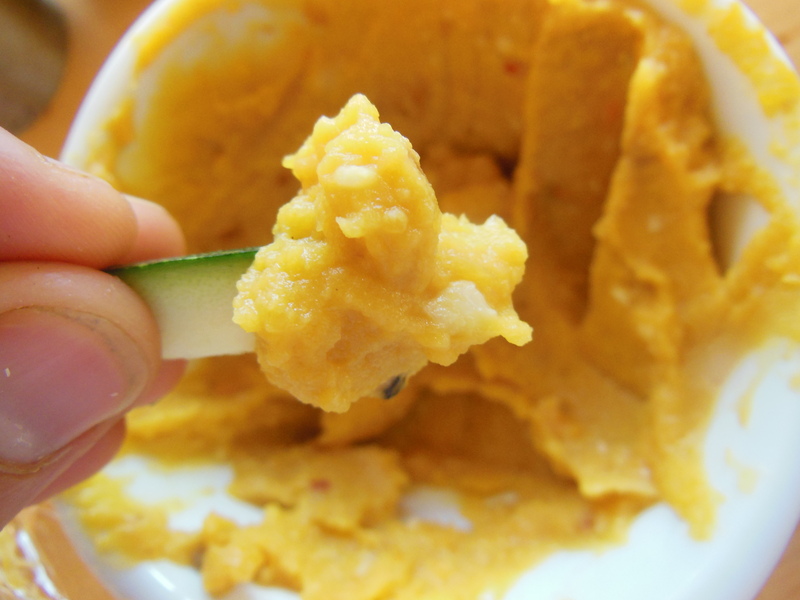 Once pumpkin and kumara are soft remove from oven and scoop out of skins into food processor. Add all other ingredients and blend well, adding extra water if needed. Serve on fresh baked bread, veggie sticks or my recipe for black bean falafel balls (coming soon).